Back on the market and WOW! All new flooring and paint and interior lighting. Fabulous Gold River Location on a large corner lot set back on a Tree lined street. The most sought-after open Single Level floor plan that features 4 beds, 2 1/2 baths; including a Large Master Suite located one side of the home and 3 Bedrooms on the other. The large open kitchen has a Gas Cook-Top and New Granite Island, Family Room has built-in Cabinets with plenty of storage, sliding door that takes you to the rose and vegetable garden backyard with trellises. The 3 Car garage has plenty of room with built-in storage cabinets, shelving, workbench, and a separate laundry room. 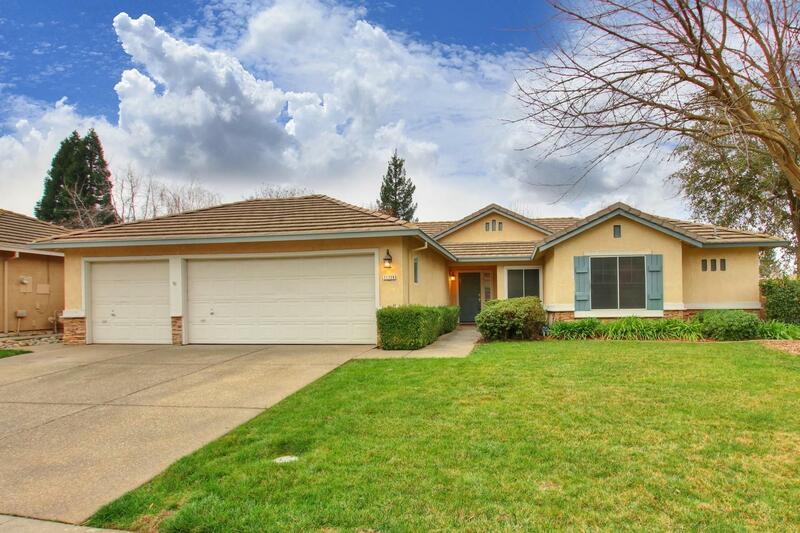 Centrally located in Gold River within walking distance to trails, shopping/dining, the American River Parkway, parks, and schools. This is your chance to build-in equity and customize your property the way you choose!